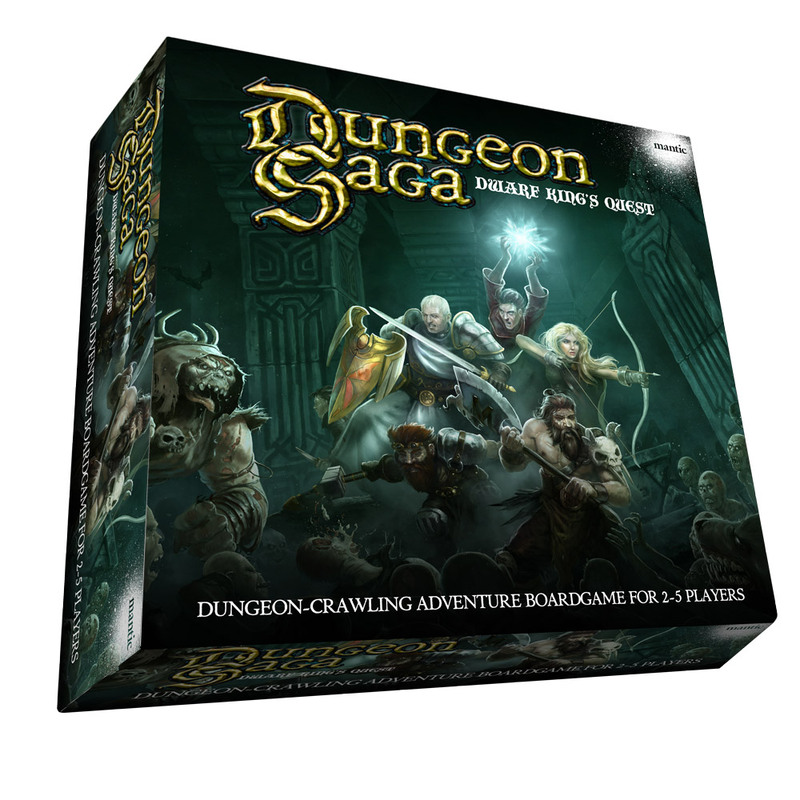 Spent part of yesterday’s gaming session playing Dungeon Sagas and all morning running through it again with some new victims at Mantic HQ. We played¹ one of the training missions about ten times, and they were all still cheery at the end of it, which is a good sign. By the end, after many small tweaks, replaying and replaying again, it’s coming along nicely. I’m sure there’s a bit more we can do though, but you’ll see for yourselves soon enough. The Kickstarter isn’t far away and there will be a set of Beta rules for you to try your hand at the introductory scenarios. Quite possibly more by the time we’re done. Got to start somewhere though, and the beginning is always a favourite. 1: Well, they played and I watched. This entry was posted in Board Gaming, Dwarf King's Hold. Bookmark the permalink. Teasing us with the infamous, out of print Odin’s Ravens! It was Kickstarted, and became one of the most nefarious examples of kickstarter villainy: the project lead took the money (~$23K), went n an ebay binge, and was never heard of again. Nearly 700 backers got taken. That does sound vaguely familiar now you mention it. Sorry if it brings back unpleasant flashbacks. That doesn’t detract from it being a spiffy game though. No bad feelings here. Though a friend of mine got caught up in it, I dodged that bullet. It’s a shame, though, when what I think is a great platform for bringing games to market, Kickstarter (something like 4,300 table top games so far? ), gets manipulated by a few bad eggs. That really sullies its reputation, rather unfairly in my mind. Though I do expect this project to do quite well! Glad to hear the beta rules will be up early. That should earn you folks some points! I thought Ravens was the one where the guy had no permission to use the IP to do a reprint, and basically disappeared with the money as soon as the KS was done, and that Doom That Came to Atlantic City was the one where the guy that ran it went on an ebay spree.